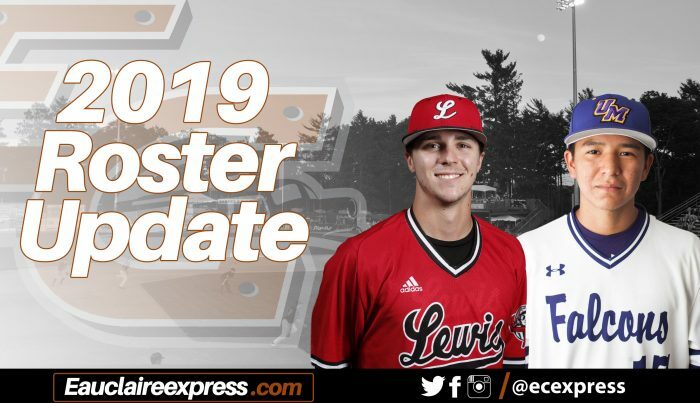 Eau Claire – The Eau Claire Express continued to build their 2019 roster Wednesday with the additions of Montevallo Falcon, Kuster Kinlecheenie, and Lewis University’s Matt Verdun. Wednesday’s additions bring the express pitching corps total to seven as the season nears. Kinlecheenie is currently in the middle of his first season with the Falcons after transferring to Montevallo from Phoenix College, where he was a part of a squad that won 30 games in 2018. Kinlecheenie is 2-1 in 2019, while adding a single save against Christian Brothers University in February. Kinlecheenie has appeared mostly in relief for Montevallo, tossing 21.1 innings and striking out 21 batters. While attending Phoenix College, Kinlecheenie appeared in 14 games securing a 3-0 record with 3 saves and a 3.86 ERA. The Eau Claire Express are a member of the finest developmental league for elite college baseball players, the Northwoods League. The 25-year old summer collegiate league is the largest organized baseball league in the world with 22 teams, drawing significantly more fans, in a friendly ballpark experience, than any league of its kind. A valuable training ground for coaches, umpires and front office staff, over 200 former Northwoods League players have advanced to Major League Baseball, including three-time Cy Young Award winner Max Scherzer (WAS), two-time World Series Champions Ben Zobrist (CHC) and Brandon Crawford (SFG) and MLB All-Stars Chris Sale (BOS), Jordan Zimmermann (DET) and Curtis Granderson (MIA). All league games are viewable live via the Northwoods League portal. For more information, visit www.eauclaireexpress.com or download the new Northwoods League Mobile App on the Apple App Store or on Google Play and set the Loggers as your favorite team.